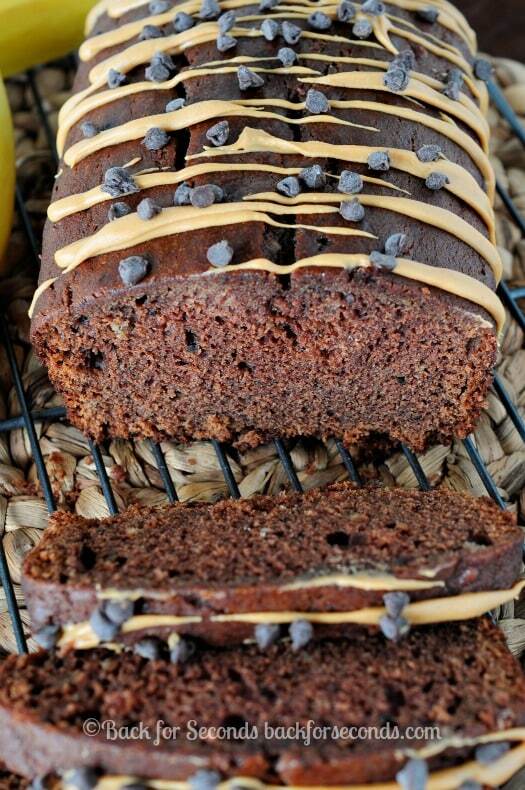 This Chocolate Peanut Butter Banana Bread is perfectly moist and equally decadent! 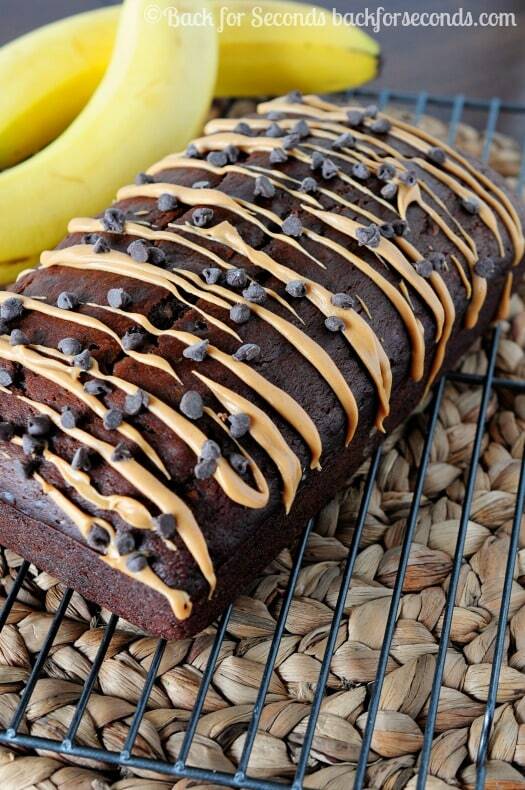 The combination of peanut butter, banana, and chocolate is unbeatable! Any time I can sneak some chocolate into breakfast is a good day. Make this bread the night before for a quick and easy breakfast or a delicious afternoon snack! I almost always make a double batch so I have a loaf to freeze for later – this is great to have on hand for visitors around the holidays too! 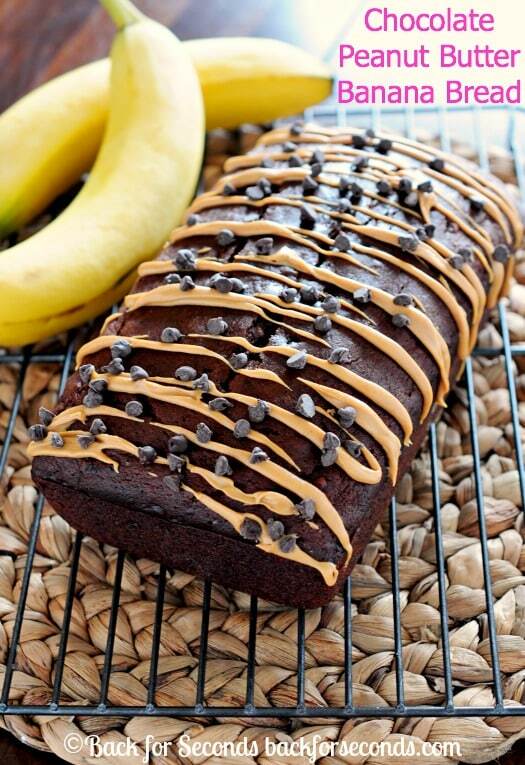 Chocolate, peanut butter, and banana. What more could you ask for in one loaf of bread? 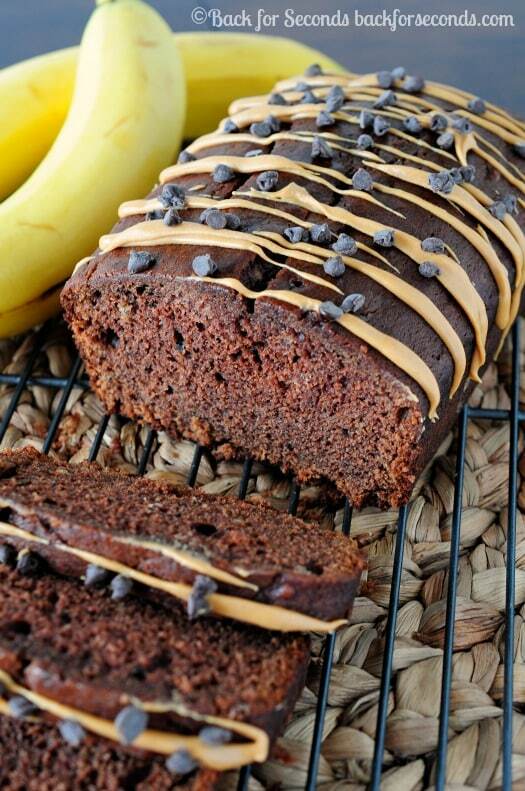 The peanut butter totally counts for protein, and obviously, the bananas are fruit, so this bread makes a perfectly balanced meal. Right? My kids go crazy anytime I make banana bread. Even if it’s plain, no frills banana bread. Imagine their delight (and my husband’s) when they saw this pretty thing cooling on the counter. It’s moist and dense – yet not too heavy. Grab a slice or two with a cup of coffee or a glass of milk and enjoy! Yum! Just made this and it’s definitely a keeper 🙂 It took WAY longer than 50 mins at 350 though. Probably closer to 1.5 hours. My bananas weren’t as ripe as they probably should have been, so I should have added a touch more sugar to make it a little sweeter. Still, it has great flavor!